NextGenLog: #MEMS: "Rad-Hard Logic Gates for Nuclear CleanUp/Deep Space"
#MEMS: "Rad-Hard Logic Gates for Nuclear CleanUp/Deep Space"
Microscopic images of two “logic gates” made of microscopic mechanical parts and thus designed to resist ionizing radiation that fries conventional silicon electronics. 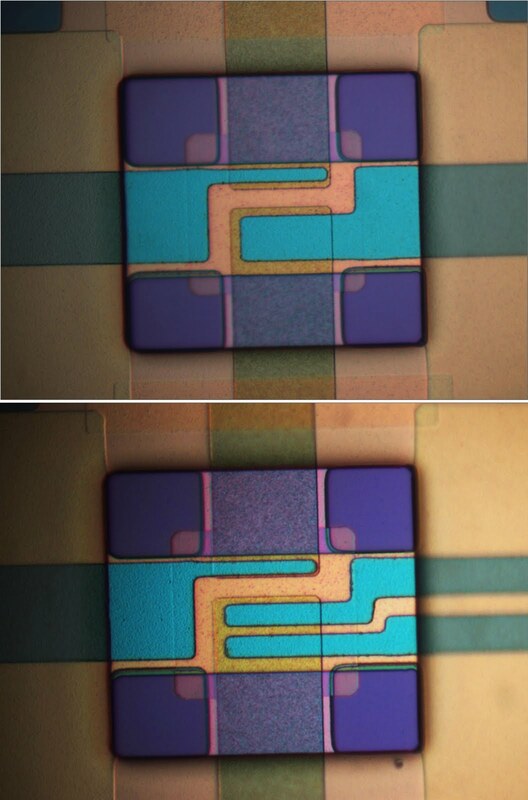 The top gate performs the logic function named “exclusive or” and the gate in the bottom image performs the function “and.” These devices, designed at the University of Utah, are so small that four of them would fit in the cross section of a single human hair. Here is what the University of Utah says about its radiation immune MEMS logic gates: University of Utah engineers designed microscopic mechanical devices that withstand intense radiation and heat, so they can be used in circuits for robots and computers exposed to radiation in space, damaged nuclear power plants or nuclear attack. The researchers showed the devices kept working despite intense ionizing radiation and heat by dipping them for two hours into the core of the University of Utah’s research reactor. They also built simple circuits with the devices. Ionizing radiation can quickly fry electronic circuits, so heavy shielding must be used on robots such as those sent to help contain the meltdowns at the Fukushima Daiichi nuclear power plant after Japan’s catastrophic 2011 earthquake and tsunami. The new devices are “logic gates” that perform logical operations such as “and” or “not” and are a type of device known as MEMS or micro-electro-mechanical systems. Each gate takes the place of six to 14 switches made of conventional silicon electronics. 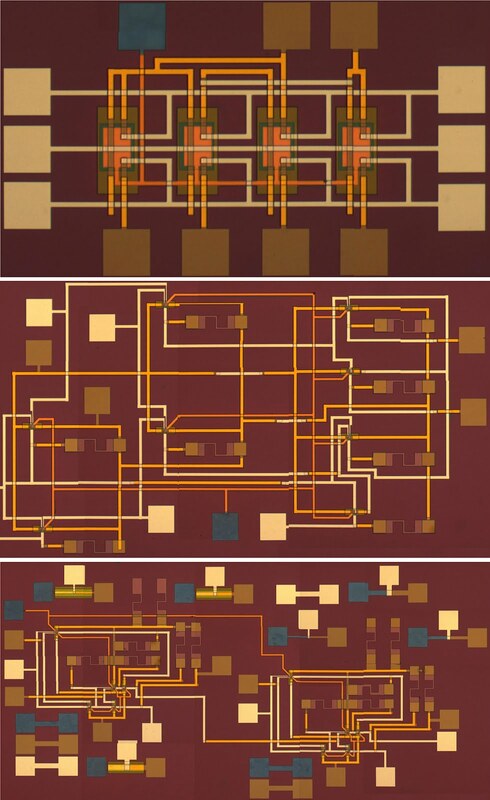 Shown here are three kinds of micro-electro-mechanical systems (MEMS) circuits built from microscopic mechanical devices, known as “logic gates,” designed to resist ionizing radiation. 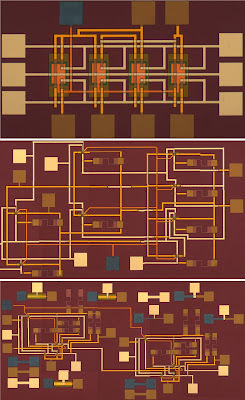 The circuits are a 2-bit multiplexer (top), a 1-bit full adder (center) and a 2-bit full adder (bottom). Development of the new logic gates and their use to build circuits such as adders and multiplexers is reported in a study set for online publication this month in the journal Sensors and Actuators. The research was conducted by Tabib-Azar, University of Utah electrical engineering doctoral student Faisal Chowdhury and computer engineer Daniel Saab at Case Western Reserve University in Cleveland. The study was funded by the Defense Advanced Research Projects Agency. In April, the Defense Advanced Research Projects Agency issued a call for the development of robots to deal with stricken nuclear reactors to reduce human exposure to deadly radiation. In May, NASA said it was seeking proposals for new shields or materials able to resist radiation in space. Circuits built with the new devices also could resist intense heat in engines to monitor performance, Tabib-Azar says. Current radiation-resistant technologies fall into two categories: conventional complementary silicon-oxide semiconductor electronics shielded with lead or other metals, and the use of different materials that inherently resist radiation. 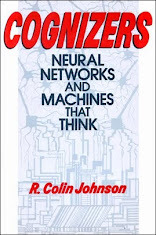 He says the MEMS logic gates are not degraded by ionizing radiation because they lack semiconducting channels. Instead, electrical charges make electrodes move to touch each other, thus acting like a switch. MEMS have their drawbacks, which Tabib-Azar believes is why no one until now has thought to use them for radiation-resistant circuits. Silicon electronics are 1,000 times faster, much smaller, and more reliable because they have no moving parts. But by having one MEMS device act as a logic gate, instead of using separate MEMS switches, the number of devices needed for a computer is reduced by a factor of 10 and the reliability and speed increases, Tabib-Azar says. Unlike conventional electronics, which get hot during use, the logic gates leak much less current, require just 1.5 volts, and run cooler, so they would last longer if battery-operated. Each logic gate measures about 25-by-25 microns, or millionths of a mete. Each gate is only a half-micron thick. The logic gates each have two “bridges,” which look somewhat like two tiny microscope slides crossing each other to form a tic-tac-toe pattern, with tungsten electrodes in the center square. Each bridge is made of a glass-like silicon nitride insulator with polysilicon under it to give rigidity. The insulator is etched and covered by metallic strips of tungsten that serve as electrodes. The devices were placed on a hot plate in a vacuum chamber and heated to 277 degrees Fahrenheit for an hour. Three times, the researchers lowered the devices for two hours into the core of the university’s 90-kilowatt TRIGA research reactor, with wires extending to the control room so the researchers could monitor their operation. The logic gates did not fail. The researchers also tested the logic gates outside the reactor and oven, running them for some two months and more than a billion cycles without failure. But to be useful, Tabib-Azar wants to improve that reliability a millionfold. – An AND gate, which means “and.” If both inputs – A and B – are true (or worth 1 each), then the output is true (or equal to 1). If input A or B or both are false (worth 0), then the output is false (or equal to 0). – An XOR gate, which means “exclusive or.” If input A doesn’t equal B (so A is 0 and B is 1 or A is 1 and B is 0), the output is true (equal 1). If both A and B are either true (1) or false (0), the output is false (0).